What’s the hardest thing to do with a blog? Finding new things to write about on a weekly basis. But in order to stay meaningful to your readers, and relevant to the search engines, being a content writer means doing exactly that – writing content. Keep these 5 tips in mind when you’re finding new things to write about. 1. What questions do people have when you’re out networking? These are informational ideas that would be great starter posts for your blog. Probably the most common question I get when out networking and talking about how to use social networking for your business is, “Why would people care what I have for lunch?” So that spurred my post on Social Copywriting. 2. What questions do your customers have? 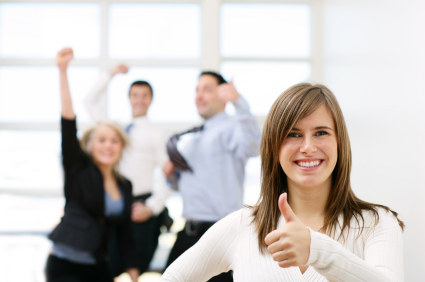 A recent client came back several months after we had developed her blog. She stated she still wasn’t having any results, even though she had been blogging for several months. One look at her blog gave me insight – and a reason to create my blog post on Blog Titles. 3.What resources are new in your field? When Sony released their Bloggie Camera earlier this year, we were one of the first in line to buy it – and share it on our site as a resource. If you’re blogging, this is a must have camera. Why not share it as a resource with our followers? What makes a great resource for your readers? 4. What can you teach? Every industry leader has a huge amount of knowledge they can share with their prospects and customers. It’s not about giving them all of the information they need to accomplish everything – it’s more about sharing your knowledge to showcase your expertise on your subject matter. How about a how-to section? You can write your content – or use your Bloggie to create a video. 5. Make people aware of what they might not know. Your customers don’t work in your industry, and don’t keep up with the latest happenings. Put simply, they don’t know what they don’t know. Which is why you are there to remind them of things. When they get that a-ha moment, and you’re the one that provided it, you’re more likely to remain in their minds. And become a valuable resource in their toolbox. Want to move forward into the new decade with a successful plan in place? 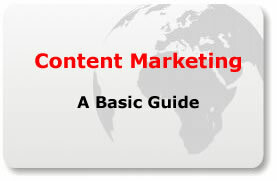 Create a content marketing plan. Content Marketing is the process that allows a company to market their business by providing quality content to attract new customers. It’s not about selling – it’s about building the relationship. It’s not about interrupting a customer to bring you your message – it’s about letting your customer request the information that’s right for him or her and moving forward at their own pace. If you’ve been marketing for a while, (and by awhile I mean 5 years or more) you’ve probably focused on advertising. Your goal with every form of marketing is to promote you and your products and your business. Not so with content marketing. Content marketing is about building value and trust. It’s about having quality content available in many different formats, and letting your customers and prospects decide what’s right for them. One of the reasons blogging is taking the Internet by storm is the ability to add content whenever you choose. Start with my site TheSocialGhost. I started it with the sole premise of providing quality content on how you can utilize content to the best of your ability. My goal is to give you quality tips every week, and help you understand how important content is. Do I have services available like ghost writing? Definitely. And I promote them in subtle ways (how’s this for subtle!). But I also know only a few people that read this post will have any interest in ghost writing at all. Most are looking for ideas they can use to build on. And because I know the importance, I’m willing to share my knowledge freely to help everyone understand blogging and content marketing a little bit more. A blog puts you in the drivers seat. A blog gives you the control to add content whenever you choose, day or night. Having a blog is great, but it’s the list that really makes your business profitable. Because without a list of clients and prospects to market to, your business has little value. This list is your golden tool for building all the business you desire from this point forward. Why is social growing in leaps and bounds? Because it allows you to freely share content in any way you choose. Have you ever Googled yourself? What comes up? Especially if you are a small business, you need to monitor this all the time. You can control what’s coming up by feeding in content. We have huge followings on Facebook and Twitter. When we link to a post, we can drive thousands of page views with just a couple mentions on social sites. The key is to get the following and the comments rolling on social sites that you can’t control, and lead them right back to the content you do control on your blog. What is the secret of content writing? How can you write content for your site in such a way that it attracts the attention of both your readers and the search engines? Ultimately, it starts with your readers. When people come to your site, whether they’ve been reading for years, or have just found you through the search engines, you’re ultimate goal is to have them attracted to your writing style. In just a few moments, you want your reader to be able to really get into your story, see him or herself in your writing, and have the desire to move to the next level. To take action. The easiest way to become better at writing is to create your blog posts like you would be telling a story to a potential customer. How would you speak to them? If you hate selling, you can instantly feel Jane’s pain. You can put yourself into her situation, and feel exactly what she’s feeling. You also want to read more of the story – what happens next? Does Jane shut down her business? Or does she find a solution? That’s the way you want to write. Let your writers feel what you are talking about. Bring out the details. Describe the situation how someone looking in would see it. Describe it from one person’s point of view. Great books always pull you in because they tell a story. They make you want to read further because you want to find out what’s next. Do the same with your blog. Do this with every post. And do it between different posts. Make people move from one spot to the next. The more you can pull them in, the greater they will stick to your blog. And the bigger the chance of them becoming customers in the future. Have you ever stopped to think about what your website really says to the reader? That’s what a website content writer does – they focus on what your site says, and how it reads to prospects and customers that visit. What do you know that your prospects and clients don’t? 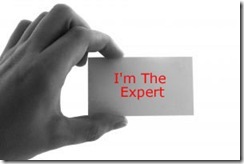 This question begins building on what you know by being an expert in your field. It helps to gather information on what your clients need to know, and how to share it with them in a way that means something to them. But it doesn’t stop there. What do you learn just by being in the business that would be of interest to those that may do business with you down the road? Even though you’ve been in the business “forever” and know everything about the industry, your clients and prospects don’t. That’s why Google is currently being searched 31 billion times every month – people use it to get the answers they are looking for. That’s the type of information that a website content writer gains and uses to fill your site and your blog with quality content. It’s about educating your client first, and selling to them second. Why is your company different than others? What excites you about working in your industry? If you’re like most people, you’ll come alive. I’m sure you can talk for hours on your business – you probably do so everyday. I’m sure you’re very passionate about what you do, and know a lot about your industry. You probably have a ton of experience, and really enjoy being able to help people with your services. Talk about your favorite client. Talk about how you saved a client hundreds of dollars a month. Talk about the research you do to find the perfect product for each customer. Do you get it? Then it’s time to start blogging – and filling up your web presence with good, quality content. Whether you need a blog, or a website content writer, we can help you start attracting clients online.